Seizure dog service can be part of the overall care plan for people who have epilepsy. With training, some dogs can learn to recognize a seizure and may be able to assist you when you have one. Research suggests that dogs may even be able to detect an oncoming seizure, and can be trained to provide a signal, alerting you that a seizure is about to occur. Dogs specially trained to respond to seizures are often referred to as seizure dogs. 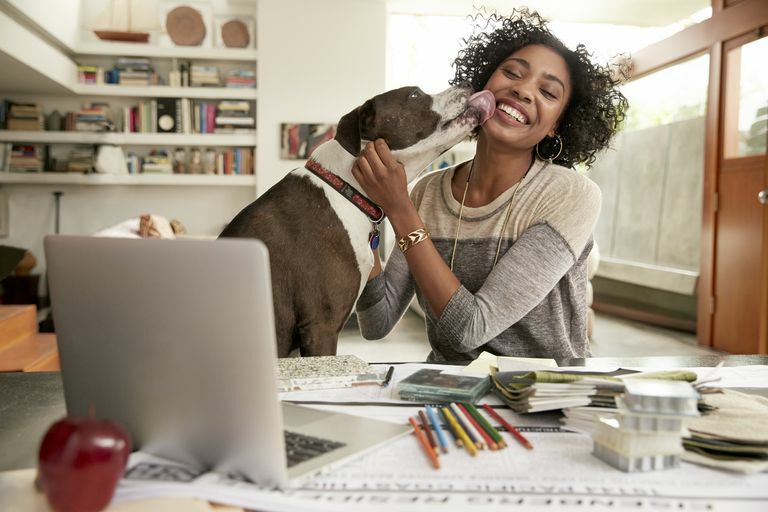 Having a seizure dog as a companion is one of the new ways that people living with epilepsy can learn to manage the condition. While seizure dogs are becoming more widely available, it is important that you carefully consider whether having one would be safe and beneficial for both you and your dog as you decide whether to get one. Seizure dogs most are most commonly trained to recognize a seizure when it is happening and to respond in a way that protects the person who is having the seizure. A seizure dog can be trained not to fear the person who is experiencing a seizure. Seizure dogs learn to recognize a seizure, and are coached to stay calm while it is happening. Seizure dogs may become skilled to carry out a variety of duties when they witness a seizure. They may learn how to press a button to call for help, to lie next to the person who is experiencing a seizure, or to protect a person who is seizing from injury and falls. Even without training, some dogs may be able to anticipate a seizure in advance, possibly by detecting changes in respiration, heart rate, or other subtle metabolic changes. Dogs who know their owners well may recognize characteristic auras, such as behavioral changes that occur before a seizure. There is ongoing research examining whether seizure dogs can be trained to predict a seizure in advance. The results are not yet clear, but this area may show some promise. The purpose of training a seizure dog to anticipate a seizure lies in teaching the dog how to respond to an impending seizure in a beneficial way. For example, if a child has epilepsy, a dog that predicts seizures could alert parents, who could then give a short-acting prescription anti-seizure medication. Or, an adult who has epilepsy could be alerted to take medication, to rest, or to avoid activities that could lead to an injury, such as climbing stairs. You can get a seizure dog from a variety of different vendors. You can start by getting a list of nearby vendors from your doctor or by contacting the Epilepsy Foundation for recommendations. If you have found a company that is not specifically recommended by your doctor, they still may be completely qualified to provide you with an excellent and well-trained seizure dog, but you should do your homework, visit the center, and get recommendations from other patients who have used the service. Consider shopping around with more than one vendor to familiarize yourself with techniques and options before you make a final decision. If you already have a beloved pet dog and want to know if your own dog can be trained, you can check with one of the organizations to see if your dog is an appropriate age and breed for this type of training and whether your dog has the ability to learn the necessary skills. There are some pitfalls to having a seizure dog. If you have epilepsy and you are responsible for taking care of a dog, you have to be committed and healthy enough to be able to feed your dog, provide him or her with all of the necessary protection, hygienic needs, and health care—such as shots—to protect your dog from getting sick. This responsibility is so important that if you have epilepsy, you shouldn’t take on the responsibility of any pet, whether a seizure dog or not, unless you can adequately care for your pet. Unfortunately, there are reports that dogs who are cared for by people with epilepsy may suffer from neglect and poor health, possibly as a result of the illness and inability of the owner to properly care for the dog, Similarly, sometimes untrained dogs may become alarmed when witnessing a seizure, injuring themselves or others. Even with the best intentions, there can be misuse or incorrect use of a seizure dog. If your seizure dog is not completely trained, he or she may misinterpret signals or respond to a seizure differently than expected. Another pitfall is becoming overly dependent on your seizure dog to the extent that you don’t take care of your health or your child’s health the way you should, expecting the dog to anticipate all seizures and keep you perfectly safe. There are a variety of regulations when it comes to where you can take a seizure dog and whether your health insurance will pay for it. For the most part, seizure dogs are not covered by insurance, but there are certain exceptions, and some states cover part or all of the cost of obtaining a seizure dog, which can run in the tens of thousands of dollars. The ongoing cost of caring for your seizure dog is expected to be several thousand dollars per year. Many companies are beginning to allow service dogs in the workplace for their employees, and schools are beginning to allow students to bring them to school and to school events. When you are a customer at a restaurant, a hotel, or an airplane, you need to request permission to bring your dog ahead of time. Some businesses simply cannot accommodate dogs due to hygienic concerns, or space or safety issues. It is to your advantage to learn the regulations and to obtain and keep the paperwork with you confirming that your dog is a service dog so that you will be able to take your dog wherever it is permitted. Therapy pets are becoming more popular and accepted for a variety of medical conditions. The acceptance of service pets in general is growing, and techniques for training pets, particularly dogs, are advancing. If you and your family can benefit from a seizure dog, and if you have the means to properly take care of one, then this may be a way to improve your quality of life with epilepsy. Brown SW, Goldstein LH. Can Seizure-Alert Dogs predict seizures? Epilepsy Res. 2011 Dec;97(3):236-42. DOI: 10.1016/j.eplepsyres.2011.10.019. Strong V, Brown SW. Should people with epilepsy have untrained dogs as pets? Seizure. 2000 Sep;9(6):427-30. DOI: 10.1053/seiz.2000.0429. Walther S, Yamamoto M, Thigpen AP, Garcia A, Willits NH, Hart LA. Assistance Dogs: Historic Patterns and Roles of Dogs Placed by ADI or IGDF Accredited Facilities and by Non-Accredited U.S. Facilities. Front Vet Sci. 2017 Jan 19;4:1. DOI: 10.3389/fvets.2017.00001.